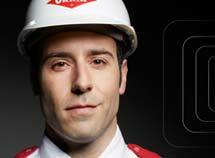 At Orkin, we believe the more you know about the science of pests, the easier it is to keep them out of your home. We've spent more than a century learning what makes pests tick, and along the way, we've created lots of free resources to help families, kids and teachers learn more about how insects and other creatures inhabit our world. 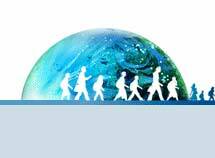 Promethean Planet is created by teachers, for teachers. And, it’s free to join. 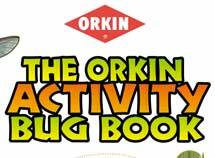 Save time preparing lessons and download Orkin activities for all ages. Welcome to Insect Safari for kids and teachers, where science and imagination meet! 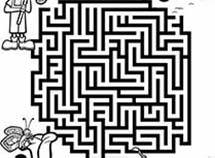 Bet you didn’t know that there is a difference between an insect and a true bug. Well, there is. A true bug is a certain kind of insect. Teach kids about the scientific classification of insects, plus a variety of fun insect facts for kids. You don’t need pests in your home, but you do need them in your world. From science and forensics to art and culture, pests play an important role. 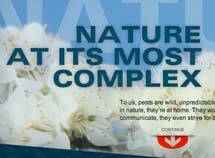 Visit the Pest Project to discover the many ways they contribute. 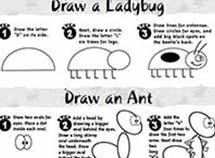 Before going on safari, use the educational activities and insect games in the safari booklet to prepare for your adventure! Explore insect facts, games and insect crafts for kids. Download and view Insect Safari Guidebook as a PDF file. If you don’t have Acrobat Reader, download it free from the Adobe website by clicking on the Acrobat Reader button below. Did you know that insects have their skeletons on the outside, with their soft parts inside? 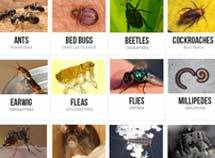 Check out the Pest Library to find out more insect fun facts. During your Insect Safari, you’ll find the answers to questions that may be bugging you, plus cool insect games, insect coloring pages and insect crafts for kids. Psst! Let’s not forget your teachers. 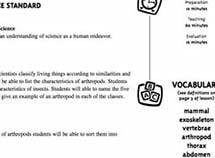 Teaching students about pests can be fun and easy with our insect lesson plans for all ages. Schedule The Orkin Man™ to visit your classroom so kids can learn about insects from a pest expert!